Your new business went online yesterday and you've got a marketing budget of zero. How are you supposed to create a movement around your product? How can you get to your first thousand - or million - customers? Starting from zero, it feels impossible. Enter the growth hacker. You may not have heard of growth hacking yet, but you've certainly used the billion dollar brands built aby it: Hotmail, AirBnB, Facebook, Dropbox, amongst many others. Growth hackers thrive on doing what traditional businessmen would consider impossible: creating something from nothing. They 'hack' their company's growth to create a narrative of sensational success, turning excited media, users and social media into a viral marketing force that will help their business grow exponentially. Silicon Valley has realized that growth hacking - not television commercials and billboards - is the successful start-up's secret weapon. Now growth hacker extraordinaire Ryan Holiday is ready to share his experience, teaching you how to harness the power of growth to propel you to success. 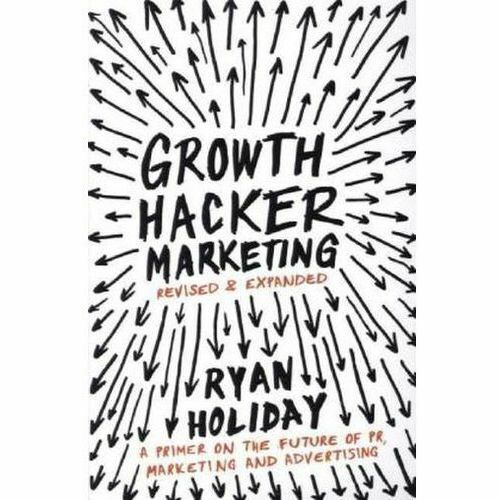 Featuring insights from leading growth hackers, Growth Hacker Marketing is the essential guide to the revolutionary new approach to growing your business.